Whether you are trying to sell your home for more money, or whether you are in the business of flipping homes – you know that staging your home for prospective buyers is a crucial part of he process. Even though people place a great deal of focus on the inside of the home (and rightfully so) the outside of the home, including the patio, is often neglected a bit. If you want to use your patio and patio furniture to guarantee or increase your sale, this is how it can actually help you do so. If you have a larger backyard, it helps to break this into sections. This can be anything from a dedicated tablespace where you would have dinners with friends and family or actual landscaping. By making the space appear more manageable, you are creating value and allow someone to be impressed without the sense of being overwhelmed. If you have a smaller property or a small backyard, you want to make sure that your yard looks bigger by comparison. You do not want to create barriers (because it is going to use up already valuable space) but you can use amenities and patio furniture to break the area into different spaces. 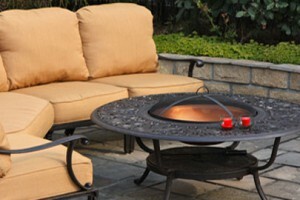 This is going to make your outdoor area appear far more spacious. What happens if you have someone who is moving from halfway across the country and they want to get started as quickly as possible? 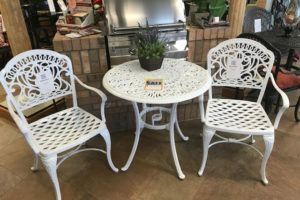 The staging might just be a great way to part with some older furniture and get yourself a brand new set of patio furniture for your new home. 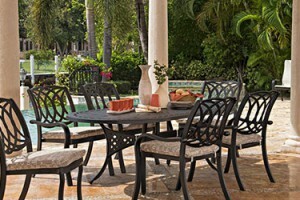 It is always possible to work the price of your existing patio furniture into your overall. There are many different homebuyers who want to extend their living and dining rooms onto their porches, yards, and patios. By staging your patio with both dining and lounge settings you are showing them the possibilities of having a gathering there. 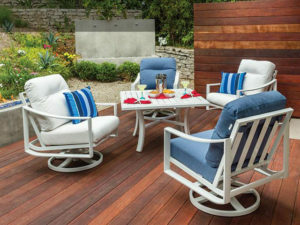 A sectional outdoor sofa, side tables and coffee tables are going to make your space appear more functional. Whether you want to spruce up your outdoor space because you want to try and sell your property or you just want to have a better outdoor experience, you do not have to break the bank. Colorful pillows, outdoor rugs, and potted plants are going to go a long way towards generating interest in your outdoor space. You can easily increase the value of your home and attract additional interest by highlighting these coveted outdoor spaces.